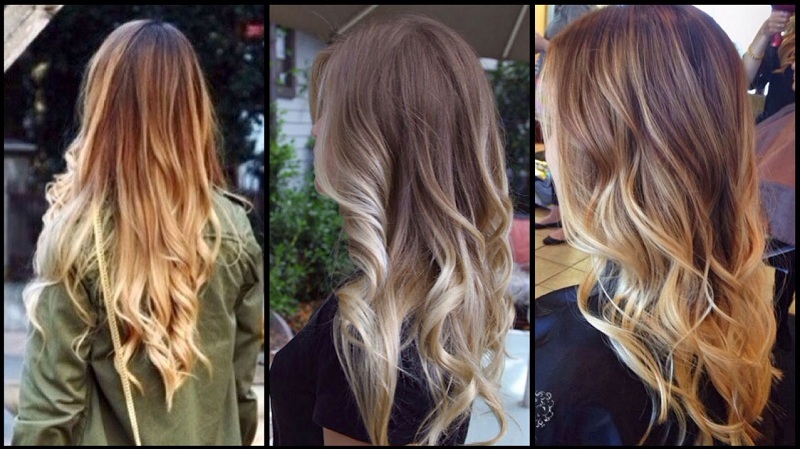 Home » Reviews » How To Dye Your Hair At Home? 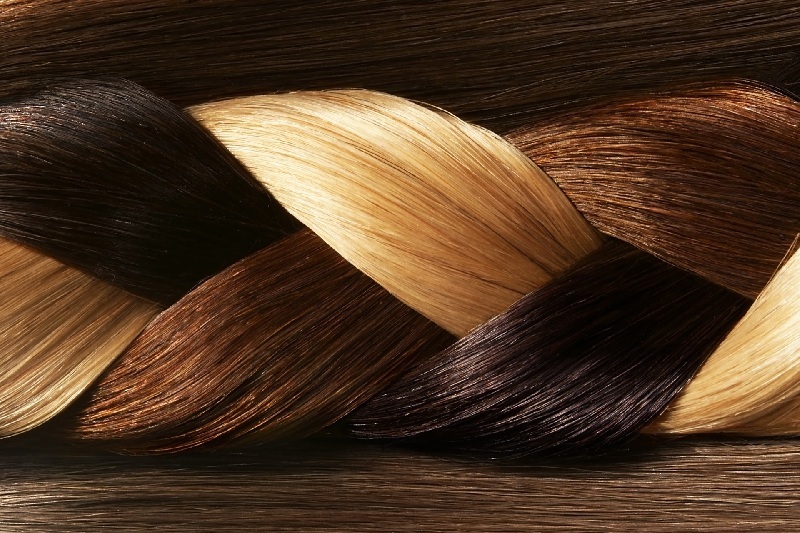 The abundance of colors and palettes sold in stores allows temporarily toned or paint curls in natural or any other color. Doing simple, but very important recommendations will help to do this qualitatively at home. Having understood the question of how to dye your hair yourself, you can achieve an excellent result that is no different from a professional one. Chemical. Compounds based on an aggressive, chemical dye pigment and oxidant are extremely easy to use. With their help, you can independently dye your hair in any desired color without having professional skills. Natural. 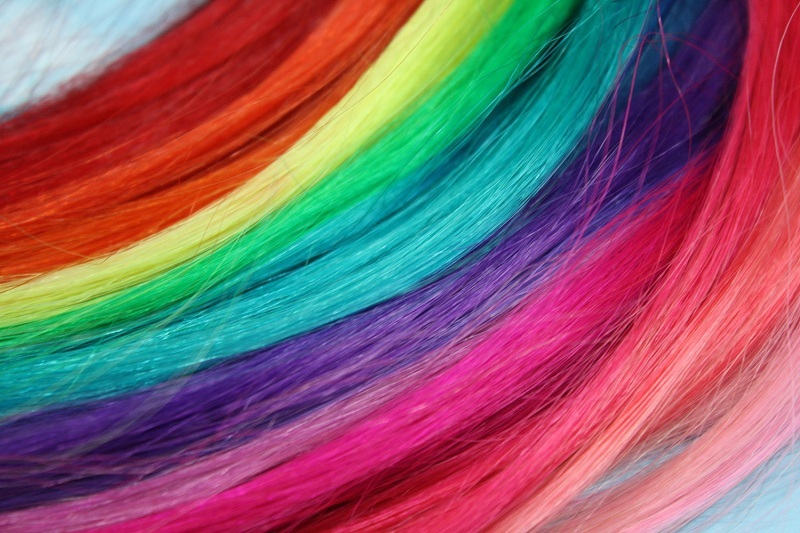 Dyes containing substances of plant origin can not only dye hair in a different color but also strengthen their texture, making it smooth and shiny. Physical. These colors do not contain peroxide or ammonia, so do not violate the structure of the hair and do not penetrate deep into it. They only change the color of the outer shell, allowing temporarily toned curls without a cardinal change of tone. But the choice of the color palette in these colors is quite modest. Coloring at home is associated with certain risks. If you decide to dye your natural hair in a dark color yourself, you only have to worry about the correct application of paint. But burning blondes should delve into the study of how to dye their hair to themselves, so as not to burn them and not get an unwanted yellow or reddish tint. To understand what problems may arise when dyeing in light colors, you should understand the simple laws of color: black will always dominate! That is, when painting a brunette in bright colors, a yellow tint will surely appear. This is due to the fact that the pigments contained in the means for dyeing are mixed with the pigments inside the hair. To avoid undesirable results will help professional neutralizers yellow, added directly to the coloring composition, or tinting tools used after dyeing (but in this case they will have to be used regularly). If you still want to properly brighten the hair itself, then choose a paint with an ashy shade, which will differ from the original color by no more than 1-2 tones. There is a myth, according to which it is necessary to refrain from washing the head for several days before painting. This statement is completely wrong! Accumulated sebum in no way protects the hair from aggressive chemical attack. 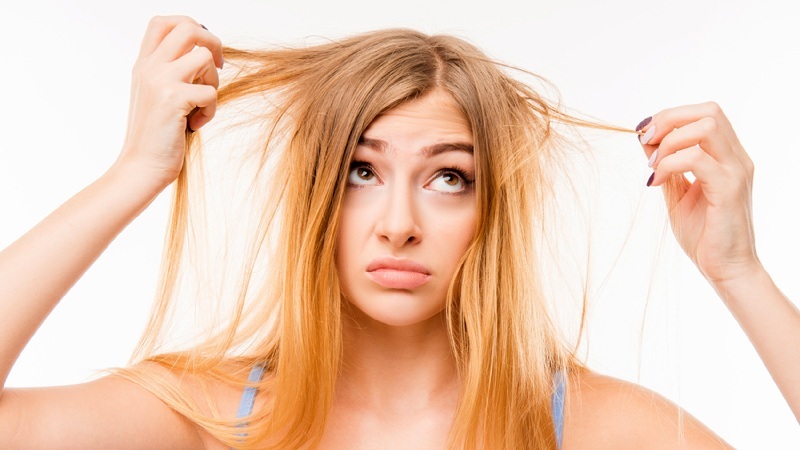 In addition, washing your head will help get rid of residual gels, sprays, styling varnishes and dust flying in the air? Prepare a cape to prevent paint from entering the clothing. Find a non-metallic container for mixing the composition, a brush for applying it to the curls and a comb with fine teeth. Apply your favorite cream on the forehead, temples, ears, neck, and cheekbones to the hairline, in order to avoid unwanted skin staining. Perform a sensitivity test. To do this, mix the paint with an oxidizing agent and apply the mixture to the wrist. If after 15 minutes the skin does not turn red, then you can proceed to stain. To find out how to dye your hair in a different color at home and achieve the desired shade, you need to familiarize yourself with the rules for applying a particular dye. You can divide the hair into zones (parietal, temporal and occipital) and fix it with non-metallic hairpins. The coloring composition reacts immediately after mixing, so it must be used as quickly as possible. It is better to start applying the paint from the back of the head, separating parallel strands 1 cm wide and painting only the roots. When the occipital zone is ready, you can proceed to the crown: divide the curls into thin strips, applying a tool in the root area. In the temporal areas, as a rule, the weakest and thin hair, so they need to be painted over in the last place. It should not be smeared with a brush curl along the entire length, in this case, they simply tangle. To obtain a uniform color close to natural, it is important to thoroughly comb through all the hair with a comb with fine teeth. The coloring composition should completely cover each hair, only, in this case, it will be possible to achieve a professional effect. To prevent drying, you should put an oil-bonded cap on your head or build a cap of thick foil, then cover the resulting structure with a towel. Wait for the time indicated in the instructions. In order for a chemical reaction not to slow down, it is important to avoid drafts and hypothermia. Usually, 20-40 minutes is enough for high-quality staining? Exceeding this period will only lead to the destruction of the hair structure. Wash off the paint with warm running water without using shampoo. Apply balsam, which is usually attached to the paint. This will help consolidate the resulting color and keep it fresh for a long time. This step-by-step instruction describes how to dye your hair over the entire length of itself and achieve a result that is no different from professional dyeing. When self-correcting (tinting the roots), you need to follow the above scheme, but it is important to remember that any shade is prone to leaching. Therefore, you need to process not only the roots. You can simply reduce the amount of paint, apply it to the root zone, and then properly comb the hair to distribute the pigment. Despite the imaginary complexity of the technique of balayazh, this coloring can be done at home, without the help of a professional stylist. To do this, you need to purchase paint 2 tones lighter than the original shade. With the right application, you get an excellent result, close to natural fading in the sun. Make 2 symmetrical tails in the temporal zones. From the height of their placement will depend on the smoothness of the transition. Mix the paint with the supplied oxidizing agent, apply a small amount only on the ends of the hair. First, comb through the last 5 cm of length, spreading the composition evenly over the tips. Then go a little higher comb, capturing 7-10 cm. Smooth the transition by combing 15-20 cm of hair in each tail. Leave for 20-30 minutes, rinse thoroughly with running water. Important! Excessive paint applied to the tips at the initial stage will lead to clear light lines and undesirable contrast. To achieve an extremely soft and professional effect, you need to use the minimum amount of coloring agent. How to dye your hair at home with natural dyes? Basma and henna, which have been popular for several centuries, are tools that make it possible to change the color of hair, improving their health. The properly selected combination of these plant substances will independently achieve a natural shade. The choice of colors ranges from rich ginger to rich chocolate or hot black. 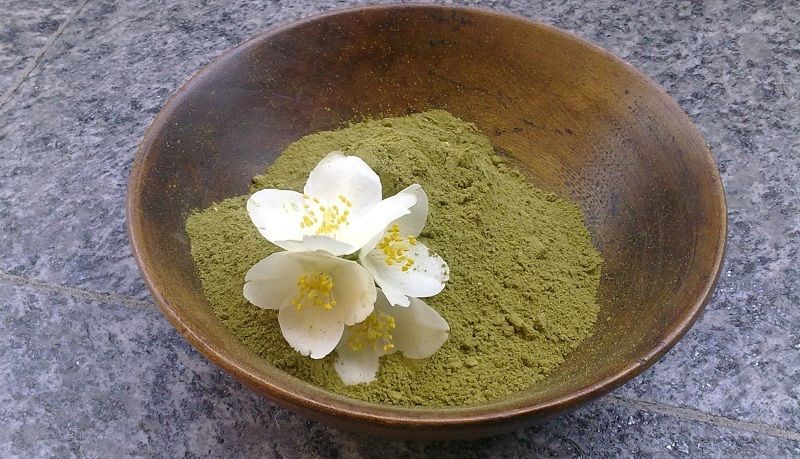 Dilute henna with hot, but not boiling water to a consistency of thick cream. For maximum therapeutic effect, you can add a little essential oil. Apply the mixture to dry, clean hair, starting from the back of the head. Then process the parietal and temporal zones. Wear a plastic hat or build a foil cap. To keep warm, cover your head with a towel. The exposure time is up to 4 hours. Then the composition must be completely washed off. To eliminate the red shade, you can use Basma. To do this, it must be dissolved in water, achieving a more liquid consistency. Apply to hair, following the above tips. Keep the mixture on the head for 15 minutes to 2 hours, depending on how dark your hair should be. Rinse with running water without shampoo. Apply a favorite balm. In addition to discoloration, henna and Basma saturate hair with biologically active components and vitamins, due to which they acquire a smooth structure, extraordinary strength, and elasticity. These natural dyes create an invisible protective lash on the surface, which protects the curls from negative external influences and prevents fragility. Coloring with natural products has the highest resistance. Hue after henna or Basma retains brightness and saturation for several months. Therefore, it is important to properly combine these dyes. Means developed for toning hair and intended for home (independent) use are becoming more and more. Tint shampoos and balms allow you to refresh the color, disguising unwanted red or yellow shades. To do this, it is enough to familiarize yourself with the instructions on the package and properly wash your hair using the chosen tool. It is possible to dye your hair in another color with the help of pastel crayons; in this case, the color palette covers all shades existing in nature (from white to deep blue). Even a child knows how to dye your hair with crayons at home: to do this, it is necessary to hold each time with small strands of the desired color, and then you can shake the hair, saving it from small remnants and fix the color with varnish. Self-tightening hair at home is difficult, but always a predictable process. Understanding the above rules will help facilitate the procedure, and strict adherence to step-by-step recommendations will help turn routine home care into the real art of transformation!